Through our Paul Hamlyn Foundation project, we have successfully built a programme of educational practice in outdoor education. Children experience a range of residential experiences through their school life at South Hetton which encourages academic achievement, emotional wellbeing, life skills and personal and social confidence. 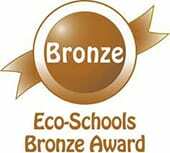 Mrs Hammond and her ECO warriors achieved the Bronze Eco Award and Bags2School visit annually as part of our pledge to recycle. Year 6 monitors recycle all our paper and plastic and fruit scraps are turned in to compost. Our collection of over 1500 plastic bottles has turned into an eco greenhouse and gardening club grow fruit and vegetables in our quad area. With support from our kitchen, we encourage healthy eating with our hot dinners and packed lunches. We have sold fruit kebabs and Fair Trade products. Cooking clubs and cookery lessons are held at various times throughout the school year. We are VERY proud of our Enhanced Healthy School award and our partnerships with the Family Initiative Supporting Children’s Health, which promotes active lifestyles and school sports partnerships links. Here at South Hetton Primary school, we encourage children to be financially savvy. All classes run their own enterprise projects to raise money for trips. Money raising ventures have included raffles, film nights and soup nights. The PTA welcome stalls from every class at their Summer and Christmas Fayres and Young Enterprise visit every year to help children get a taste of the world of work and the excitement of running a business. 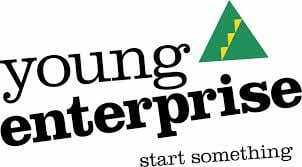 We are very proud to be a ‘ Centre of Excellence’ for Young Enterprise.